Another sublime cut of ruminative piano from the upcoming new album. In among the spare plaintive notes are the most beautiful cello swells. A deep register and a harmonic upper note working together. Like a rumbling sea with its own waves crashing. Sometimes it’s the simplest things that get you through and this is one of the best of those. We played an extract from the new Kamasi Washington single a few weeks ago. It's an epic freewheeling piece in roughly three movements, featuring choir, orchestra, band, the works. This week, for your pleasure, we have the full wonderful 13 minutes. Around that we had a selection of somewhat like minded gems. Ennio Morricone, also genius employer of vocals in (mostly) instrumentals. Laetitia Sadier Source Ensemble, influenced by Il Maestro for sure, but also dipping into some kind of deep Brazilian kosmimsche. The High Llamas, on tour in Ireland soon which is marvellous news. The Beach Boys, bringing a little baroque to contemplation of the universe and deeply moving. And Yorkston Thorne Khan, with another sublime crossing of western and Indian styles, playful yet still full of feeling. ...in which the meaning of this word kosmische is front and centre. That’s to say, the album deals with existential concerns - the meaning of the moves we make, the dances we do, who we are and why we are here on this funny old planet. Nowhere is this clearer or more poignant than on the intoxicating lead single ‘Slow motion’ which opens with these immortal lines (as close as I can make out). like a science fiction inner monologue drifting out to space. while the synths swoop and dive. It’s an exquisite moment of yearning and nostalgia and of feeling for the universe and it’s amplified even more in the context of the other songs. The thrilling motorik beat of opening song ‘HAK’. We didn't have Ariana Grande on the show this week but we did have a great contemporary Manchester artist. 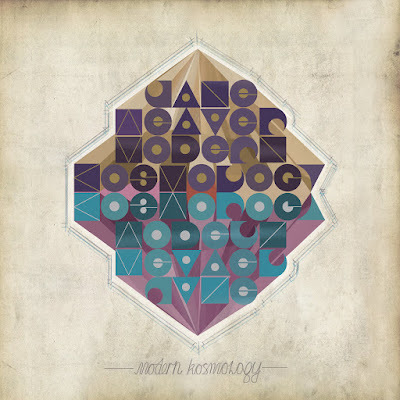 Jane Weaver's new album is a brilliant mix of psych pop and synth driven kosmische and fittingly there's a heartfelt and poignant tone to it. Moondog is always good music to lift the spirit, sitting somewhere between classical and folk but not neatly in either camp. Some folk cuts. Joan Shelley with the most delicate and sublime of folk voices, James Elkington with a lovely baroque folk twist of fingerpicked guitar with cello, Harry Taussig & Max Ochs with a light playful touch of American Priitive. Lee Hazlewood from his Swedish sojourn, always great to hear. And from the English Weather compilation, a brilliant folk-exotica track from The Roger Webb Sound. A second album of thrilling instrumentals from the Dublin-based duo of Kevin Murphy and Thomas Haugh, whose first album Melting cavalry still stands as one of the best instrumental albums of this century (at least). The main instruments are ostensibly cello and percussion but even at that not used in ways you might expect. The cello in particular is brought into unusual territory with bends, slaps and scrapes combining brilliantly with longer bowed notes to make a fascinating sonic landscape. ‘Pig iron prophet’ starts with a furious double time backbeat over staccato effects while trumpet and bass drones build the intrigue. There’s the wonderful widescreen cinematic atmosphere of ‘Kingdom of crooked mirrors’, an orchestra of zithers and strings played out over a marching drumbeat. The swooning chamber pop of ‘Century flowers’ and ‘Glass soldiers parade’. A beguiling mixture of electro, brass band music, 8-bit and any number of other styles from the Belgian artist. The glorious brass influence asserts itself in the building opener ‘Music from the hot dog stand’, toy drums and organ stabs giving way to a furious atmosphere of snare rolls with frantic brass action anchored by a great parping tuba. The filthy synth bassline of ‘Tchouang-Tseu (was at the Kermesse of M. Ha)’ screams electro but the melody and other top notes have more of an 8-bit feel. All good. ‘Karaoke’ has a wonderful off kilter backbeat, jerky, restless and capable of ripping up any dancefloor (sounding vaguely like a Balkan band transplanted to the Caribbean), the brass again adding a great insinuating undertone. The rest of the album contains other pleasures – the ominous syncopations and noise distortions of ‘Playback’, the Franco-jazz meets bar room singalong of ‘Sylvie, reviens’ and more – but this opening salvo really is killer. Slowdive have a first new album in over 20 years. It's great and picks up seamlessly from where they left off. We heard from it and from their shoegaze confreres of the 80s/90s Cocteau Twins, the magnificent swirl of the album Heaven or Las Vegas. The charmingly named Snapped Ankles (pic) have released track 2 and it's another stonking piece of strident electro, not without melody and other intrigue however. Another gorgeous Flying Nun memory from their reissue of Look Blue Go Purple; new music from This Is The Kit, a beautiful kosmische jam; The Magnetic Fields with memoir, Stonewall riots, feather boas, Serge Gainsbourg, Judy Garland and irresistible tunes. 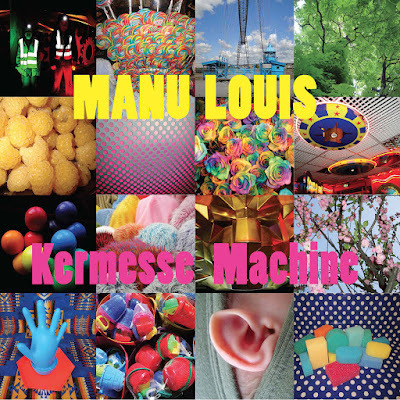 And Manu Louis with a twisted kind of fairground funk with some brass band looney tunes thrown in which is wonderful. ...using the great and simple effect of massed voices, without harmonies and in unison, belting out a rousing melody and reaching a thrilling crescendo by the end. The beauty of one riff and letting it breathe to the full. The orchestral majesty of the interlocking undertones and overtones. The stoic brass, twinkling xylophones and skittering drums. Not even the unexpected appearance of some Santana style guitar flourishes late on can ruin the mood. Kamasi Washington has a new EP out, called Harmony and Difference. We heard roughly one movement from the lead track 'Truth', it's about 13 minutes long in all (listen to it all below). It's a wonderful freewheeling affair with choir, orchestra, constantly shifting sands of drums, guitars, xylophones, saxophone of course, and more. Some beautiful BBC Radiophonic Workshop strangeness from Delia Derbyshire & Anthony Newley. Jane Weaver filling our lugs with great propulsions. Laetitia Sadier Source Ensemble with the drifting kosmische/psych pop. And some Appalachian a capella from House and Land, primal and ancient and quite strange in its way. Some Flying Nun news this week. Dunedin band Look Blue Go Purple reissue 3 x 80s EPs through the legendary NZ label. It's juicy jangly and swoonsome psych pop. Howe Gelb is back on tour, bringing Lonna Kelley and Naim Amor for company. Expect sumptuous lounge tones with to die for smoky vocals and from Naim a French jazz meets Tucson swing. 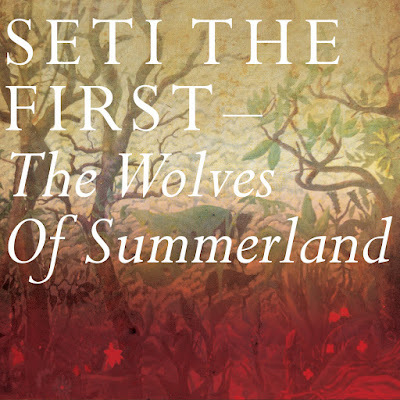 Also getting the reissue treatment is Bert Jansch on Earth Recordings. We took the title track from his wonderful final studio album The black swan (2006). C Duncan is on tour around now. Transcendental vocal magic. And Whyte Horses making genius thrilling psych pop.